The 2006 Millennium Technology Prize has been awarded to Shuji Nakamura. Professor Nakamura has developed a new, revolutionary source of light – bright-blue, green and white LEDs and a blue laser. The technology is used in several applications which improve the quality of human life. “The lighting applications now made possible by his achievement can be compared with Thomas Edison’s invention of the incandescent lamp. In the course of time, energy-efficient light sources based on Shuji Nakamura’s innovation will undoubtedly become predominant,”says Pekka Tarjanne, Chairman of the International Selection committee. The efficiency of white LEDs that use blue LEDs will become higher, almost close to 100%. Then, all of the conventional lighting, such as incandescent bulbs, fluorescent lamps, and others, would be replaced with the white LEDs in order to save energy and resources. Also, these white LEDs would be operated by a battery powered by a solar cell in the daytime. So, it means that this lighting would be operated with clean energy thanks to its high efficiency and low voltage operation. The high efficiency of blue LEDs and white LEDs would save significant energy and resources. The U.S. Department of Energy estimates that up to $98 billion USD in energy costs could be saved by 2020 if we switch to solid state lighting. Also, this would reduce the associated greenhouse gas emission, therefore it could reduce global warming effects dramatically. This would help all countries achieve reduced emissions in accordance with the Kyoto Protocol. >from *ten questions to the winner*. All of Nakamura's impressive innovations depend on the use of GaN semiconductors. Current research developments based on this material appear to herald a revolution in which gallium nitride will replace gallium arsenide as the semiconductor material of choice. Although gallium is common to both materials, it is the move from its combination with arsenic to a combination with nitrogen that is key. Unlike the former, the latter is an environmentally-friendly element. But the benefits of his LEDs are not just restricted to high-tech gadgets and bringing light to the world. 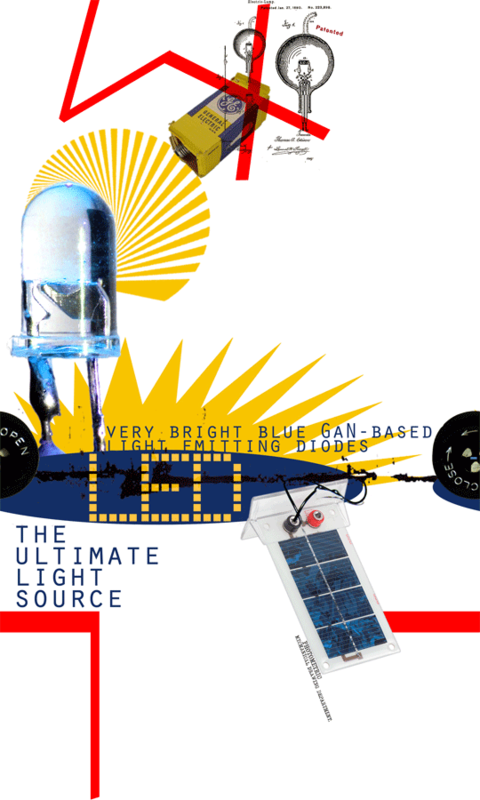 The blue LED's ultraviolet properties could also provide a cheap and efficient way to clean water or counter pollution. > millennium technology prize 2004 awarded to inventor of world wide web.